English garden style dominated the American garden in the nineteenth century because the seed and nursery catalogs used that style in marketing the garden. Following the style of England and Scotland, ribbon gardens also became popular in America. Ribbon beds predominate in this garden at Roseland, dating from the 1850s. Henry Bowen (1813-1896) laid out his garden at Roseland Cottage in Woodstock, Connecticut in the mid-nineteenth century. Historic New England today maintains the property for visitors. 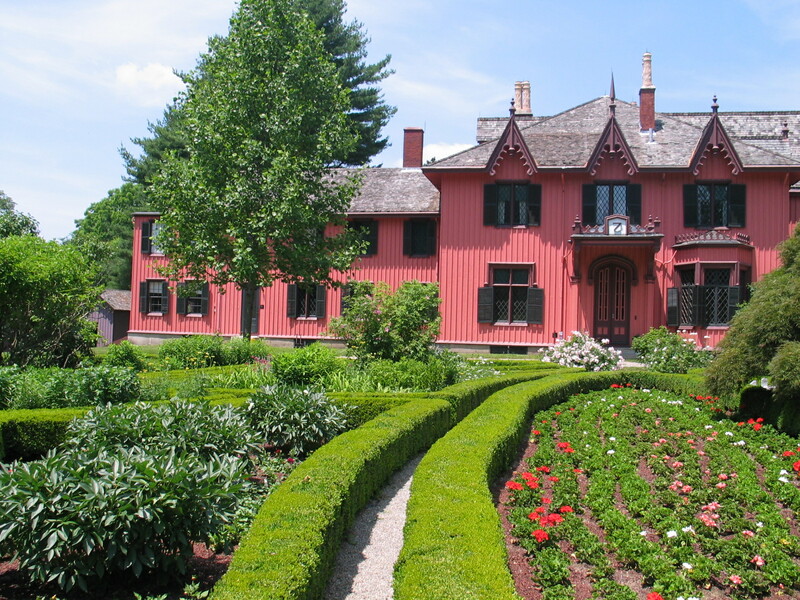 What you notice in the landscape around Bowen’s Gothic revival house is the predominance of ribbon style gardening. Rows and rows of one kind of flower illustrate the ribbon style, so popular in nineteenth English gardening. That style also influenced American gardeners like Bowen.